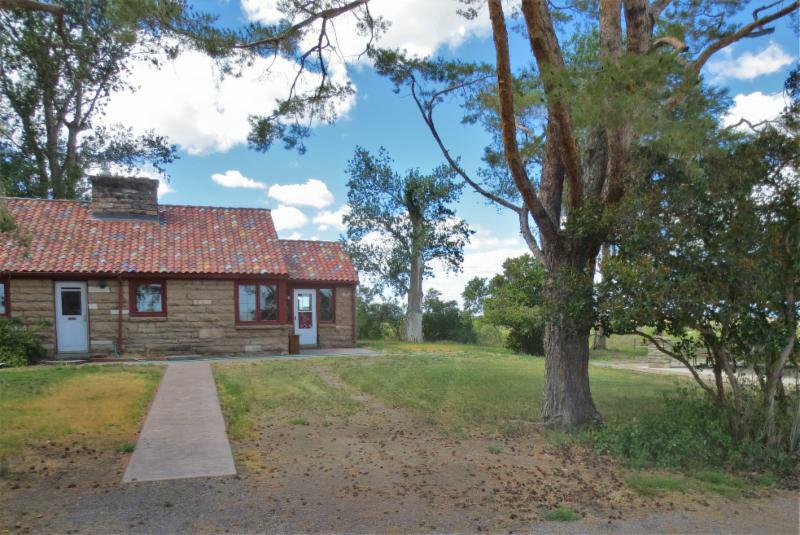 The building that currently houses the Crane’s Nest Nature Center & Store was built in the mid-1930s by members of the Civilian Conservation Corps (CCC), at the same time as many of the other structures at Refuge Headquarters. In fact, most of the historic infrastructure located throughout Malheur Refuge was installed by CCC crews stationed there between 1935-1942. The stone blocks used to construct many of these buildings—including the one housing Crane’s Nest—were quarried near Buena Vista Station, south of Headquarters. Located near the display pond at Headquarters, the Crane’s Nest building was the former residence of Marselle and May Leek in the 1940s-50s. Marselle had worked with CCC crews at Malheur Refuge and later became the shop foreman for the Refuge. Also living at Headquarters during that time was Refuge biologist David B. Marshall and his family. The house they stayed in no longer exists, but today the display pond and adjacent trail at Headquarters are named for Marshall, who was known for his strong advocacy for wildlife and habitat conservation. Dave Marshall long knew his life would center around birds. During a 1939 Audubon trip to southeast Oregon, a 13-year-old Marshall decided he wanted a career being paid to observe them. Birding was already in his genes. His great-great grandfather traveled by covered wagon to Oregon carrying a pair of field glasses, and his parents were early members of the Audubon Society of Portland. Wildlife photographer and conservationist William L. Finley was a family friend. Marshall began working for the U.S. Fish and Wildlife Service in Nevada and California in 1951. In November 1955 he returned to southeast Oregon, transferring from Sacramento Refuge to Malheur as the Wildlife Management Biologist. He held this position for five years before transferring to the Regional Office in Portland, where he served as the Regional Wildlife Biologist for 12 years. He retired in 1981 after a distinguished 30-year career with the Service. Marshall passed away in November 2011 at the age of 85. Marshall’s legacy lives on in the trail and pond at Headquarters that bear his name. We at FOMR are honored and privileged to share this historical space with the public as the newly designed Crane’s Nest Nature Center & Store, opened in May 2018. Beautiful grounds- reminds me of an oasis! Hope to get back there again at some point, I think Hart Mountain NWR has a similar CCC history. Hi Rick, thank you for the comment! We rather like the grounds here, too. You are correct about Hart Mountain’s CCC history.